Combines a strong casualty appetite with stable property capacity designed for small business. Policies through an A.M.Best rated A-XV excess & surplus carrier. Coastal and non-coastal risks. "A" Rated Excess & Surplus Lines carrier offering Homeowners, Rental, Condomium, & Vacant Dwelling insurance for risks other carriers decline or are unable to write. Coverage for (just about) every small business is available quickly and easily through Big "I" Markets. We are thrilled to announce a new cyber liability solution you can offer to your small business clients through Big "I" Markets. Every business has PII (Personal Identifiable Information). If you collect personal information such as email or phone numbers, or accept credit cards, you are exposed to cyber liability. Now imagine your client loses a laptop or business smartphone; or gets the call from a customer that a credit card was improperly used after a visit to your client's store. Who does that small business call now? What do they do? What are the fines? $200 solves this issue for most small businesses with under 20 employees, if their independent agent has offered coverage through Big "I" Markets' new "Cyber-Small Business Solution" product. Merchants of all kinds should carry cyber coverage. Lawyers, CPAs, podiatrists, consultants, counselors, taxi operators, restaurants and bars…you name it. You'll find our ineligible list is tiny: banks, cloud computing, gambling and adult entertainment. At a minimum, email every small business in your client roster to offer coverage. We've done the work for you and provided a concise sample letter outlining the product features - simply click here to download it. Even better, mail the letter through USPS, or use it as a reason to check in with a call or personal visit…or combine them. Coverage is "primary to other." If your client asks for more coverage, offer consultation after providing instant protection. You also have access to industry leader Travelers Wrap+ through Big "I" Markets if higher limits are desired. Binding could not be easier. Enjoy 15% commission, the ease of direct billing and the confidence that comes with using an insurer rated "A" with A.M. Best. Go to www.bigimarkets.com, choose cyber liability - small business solution and provide a customer email in the quote request function. BIM takes care of the rest. We collect the application and $200 via credit card directly from the customer, and pay you. The policy and certificate are available in 24-48 hours after payment has been processed. We post a signed application on BIM, and a dedicated web page is available for self-print of the certificate and policy. Document, document, document! After sending your initial marketing letter, ask for a signed declination via DocuSign. We have created a sample form that you can customize with your agency name. If your client doesn't return the form, use a DocuSign message to document that the offer was sent. If nothing is returned, your file will look strong in the event of a claim. "We want every policyholder in the Big "I" Professional Liability program (and indeed, every Big 'I' member) to offer cyber liability coverage to all their small business clients. Doing so will minimize the top source of E&O claims, 'failure to offer,' and provide better protection to your valued clients," says Jim Hanley, Big 'I' Advantage® Director of Risk Management. Questions? 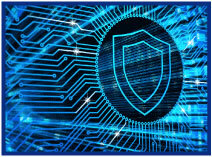 Go to www.bigimarkets.com and select "Cyber Liability-Small Business Solution" from the commercial products menu, or email bigimarkets@iiaba.net. Miss April's Risk Management Webinar? 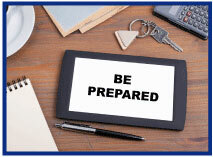 Did you miss Big "I" Professional Liability's Agency Risk Management Essentials: Preparing for a Catastrophic Event webinar? You're in luck-the slides, recording and FEMA documents that accompany the webinar are now available on the E&O Happens website. The webinar featured several panelists who shared their experiences with catastrophic events and provided strategies for agents and brokers to reduce their agency's risk of catastrophic errors & omissions claims. Panelists included Don Burke, flood insurance manager, Selective Insurance Company; Caryn Mahoney, assistant vice president, claims specialist, Swiss Re Corporate Solutions; Michael Medford, attorney, Manning Fulton; and Danny Cook, principal, Cook Insurance Services. If you have any questions or concerns regarding the webinar, contact Jim Hanley. Learn more about Big "I" risk management at www.iiaba.net/EOHappens. 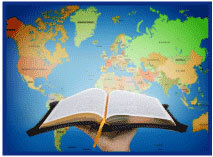 Will your religious organization clients be prepared to respond to a crisis while traveling abroad? Each day across America, well-intentioned volunteer groups of all religious denominations set off to deliver relief, aid and other services to some of the most remote and impoverished destinations in the world. The same selfless approach that inspires these noble trips very often also leads these church members to overlook the potential dangers they will encounter along the way. Make Sure You Are Insured - Many times, domestic property & casualty programs have significant insurance gaps for volunteers while traveling abroad. Purchasing a Chubb Multinational policy provides peace of mind that insurance will follow your volunteers around the globe. Our foreign package products can be tailored to address the specific needs of religious organizations and we offer a best-in-class starting premium of $1,250. Know Before You Go - Use your foreign package policy number to access the Chubb Travel App for smartphones, where you can receive real-time alerts related to health threats, civil unrest, political instability, riots, protests and other potentially dangerous activity taking place in your upcoming countries of destination. Plan Ahead for Emergencies - The Chubb Travel App will provide maps and contact information for the nearest embassies, hospitals and other key destinations for travelers. "When in Rome…" - Do not underestimate the importance locals will place on proper attire, conduct and etiquette. Assure that you are up to speed on local customs and traditions by reviewing the Chubb Travel App. Knowledge is Power - Share our 24 hour emergency assistance hotline number with all members of your group to reassure that each covered traveler is just a phone call away from help. Get the Help You Need - Our Executive Assistance services will help covered travelers gain admittance to local hospitals, or if needed we can assist in transporting travelers to a facility that can provide the appropriate level of care. Local Support - Chubb maintains a physical presence in over 54 countries across the globe. Language barriers and lack of knowledge of local laws are significant obstacles that our local offices can help your client overcome when every second counts. Interested in having Chubb protect your religious organization clients? To learn more about this and other Chubb multinational coverage solutions, log into www.bigimarkets.com. You may also feel free to contact Gerald Mancini at Gerald.Mancini@chubb.com / 302.476.6567 or register for one of our bi-weekly webinars here. Chubb is the marketing name used to refer to subsidiaries of Chubb Limited providing insurance and related services. For a list of these subsidiaries, please visit our website at chubb.com . Insurance provided by ACE American Insurance Company and its U.S. based Chubb underwriting company affiliates. All products may not be available in all states. This communication contains product summaries only. Coverage is subject to the language of the policies as actually issued. Surplus lines insurance sold only through licensed surplus lines producers. Chubb is the world's largest publicly traded property and casualty insurer. With operations in 54 countries, Chubb provides commercial and personal property and casualty insurance, personal accident and supplemental health insurance, reinsurance and life insurance to a diverse group of clients. Chubb Limited, the parent company of Chubb, is listed on the New York Stock Exchange (NYSE: CB) and is a component of the S&P 500 index. Chubb is the marketing name used to refer to subsidiaries of Chubb Limited providing insurance and related services. NEW - Thursday, May 18 - 2:00 - 3:00pm EDT. "AIG Affluent Coverages - Comprehensive Webinar". Please join us and Lisa Gelles of AIG Private Client Group for a comprehensive webinar on Thursday, May 18. During the presentation, we will cover each of the four core lines of business - homeowner's; auto; umbrella and valuable items. We will review coverage features and benefits, as well as suggestions for marketing high-net-worth coverage to your clients. NEW - May 10 - 2:30 - 3:30pm EDT. "Are You Insuring ALL the Right People". Who qualifies as an insured in the commercial general liability (CGL) policy and the business auto policy (BAP)? More importantly, how should the insured be listed on the policy? You must be careful who you list as and how you list an insured. Get this wrong and there may be NO coverage (an E&O nightmare). Only attend this session if you are interested in learning: who is granted insured status in the CGL and BAP; who you can and should extend coverage to in these forms; who is not and should not be included; and the weird requests additional insureds often make. An Exclusive Millennial Insurance Product? Should Big "I" Markets have an exclusive millennial insurance product? Your national staff and RLI, our long-time personal umbrella and in-home business insurer, are exploring whether we should. 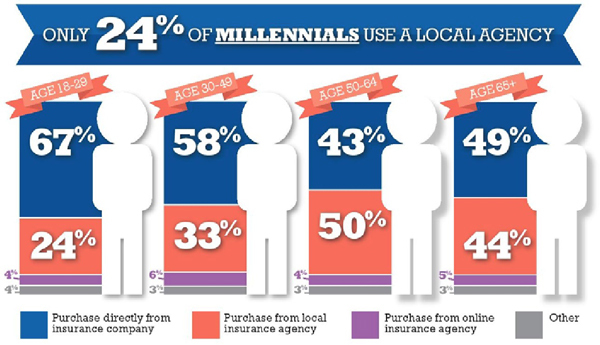 We know that we, as an industry, need to capture the millennial insurance buyer. This generation is growing up now with members in their mid-30s. Can we and RLI team up to find something that attracts these insurance buyers to you? Here's our thinking. We know millennials are marrying and buying homes later in life. Census data confirms this and the majority of renters fall into the 25-34 or 35-44 year-old brackets in all locations. We also know many millennials are delaying car purchases later in life. Combine this with a study from www.effectivecoverage.com (cited by Trustedchoice.com in their article) and you will see over 75% of millennials are not using an independent agent! We want your input. We believe if we start with an extremely easy-to-issue basic renters policy with a non-owned auto and uninsured motorist package, we have a start that should intrigue this generation. Millennials are known for a propensity to save for retirement, higher education and do research on the Internet. What city bicyclist would not benefit from uninsured motorist in case of a hit-and-run and knowing they have their own protection if they use a rental car? Not to mention if they leave the bathtub running in an apartment building or their dog bites someone. Our thinking is make it for you, the independent agent. Make it easy, bindable 24/7, direct bill, low-cost and fast but help you highlight these too often uninsured exposures. We want to get your agency started with them and nurture the relationship with all things you and Trusted Choice. What do you, as Big "I" Markets users, think? What are the other coverages that millennials might purchase as options to this renters/non-owner coverage that would be an added hook to getting a relationship with your agency? In the coming weeks, we will be writing to selected Big "I" Markets users who have agency locations in Metropolitan Statistical Areas with populations over 250,000. We want your input and we want to bring some agents focused on personal lines together to help us design explore such a product and test it. What's the hook? Should we add a jewelry floater, bicycle coverage, smart phone damage, foreign travel insurance, umbrella liability, home-based business liability, etc.? Have an idea or input? Write me at paul.buse@iiaba.net. Congratulations to our agent in Illinois on a Bond - Performance sale of $14,873 in premium!